Yes, We Will Clean That. If you feel bad for the guy who has to clean up this mess, you’ve got the perfect job for ERS. Nothing fazes us anymore – nothing. We’ll turn that horrific disaster area into a spotless, pleasant-smelling space. Unless you’re at Three Mile Island, we’re your guys. Contact ERS today. ERS not only specializes in restoring buildings following disasters such as damage from flood and fire, we expertly clean up special cases as well. ERS has over 25 years of experience and we’re available 24/7/365. Our technicians have IICRC-certifications and follow the standard IICRC reference guide to crime scene and biological and infectious hazard clean up. If a scene of a crime is in need of professional cleaning, we’re trained and able. Once local law enforcement is finished with the site, we’ll come in and clean, sanitize, and restore the site to its original state. During all stages of our decontamination and cleanup process, ERS technicians wear proper personal protective equipment (PPE). Because some of the worst viruses are known to survive in blood, we treat every crime scene as if contains a life threatening infection. For the decontamination process, are technicians are fully protected by PPE, including respiratory gear and hazmat suits – we can never be too careful. After the police and fire department have done all they can, ERS will move on site and finish cleaning up and decontaminating the site of the suicide or homicide. Our staff will handle each situation with professionalism and compassion. Crime scene investigations often produce cross-contamination. There may also be chemicals, fingerprint dust, and damage to property. Our suicide/homicide remediation technicians are properly trained and certified to handle blood and bodily fluids. The accidental death of a friend or family member is often sudden, leaving you scrambling to make arrangements. Cleanup should be the last thing on your mind. The IICRC-certified cleaners of ERS will take care of everything so you can focus on what is important. We are able to remove stains from blood and bodily fluids while also removing odors. In the event of an unattended death, thorough and immediate cleanup is vital. A decomposing body can leave behind odors and stains after only a few hours. The technicians of ERS will work quickly to clean everything from carpeting to furniture. If you have lost a loved one and need cleaning assistance, contact ERS for accidental or unattended death cleanup services. Our IICRC-certified technicians have been trained in how to deal with sanitizing sites of disease outbreaks and biohazard contamination. 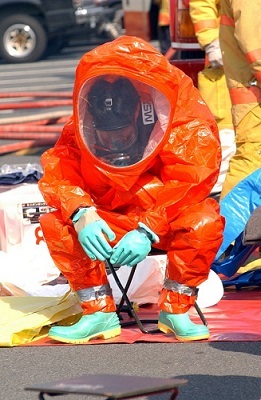 Whether the cause of concern comes from an animal infestation and decomposition, human, or biohazardous material, ERS will decontaminate the site without leaving any risk of another outbreak. Storms in Wisconsin have been known to cause tornadoes, flash flooding, and lightning strikes. The damage from severe weather is often a hassle to deal with, especially when you’re more concerned about the integrity of your home. After the storm is over, ERS technicians will remove fallen trees, repair your roof and siding, and clean up debris from your yard. Our storm cleanup crew is available 24/7 to restore your home. Using the latest technology, ERS will remove graffiti or other forms of vandalism so the structure being vandalized will be restored to its original state. If you’ve just evicted a hoarding renter, you’re probably getting a headache thinking of the damage to your property. The accumulation of belongings, trash, filth, food and pet waste can be hazardous for a non-professional to remove. Hoarding behavior also generally causes damage to the floors, walls, appliances, etc., requiring repair or even replacement. Our professional hoarding cleaners will safely remove all the waste. Let us handle this mess – you will thank yourself. If you have a special case not listed above, contact our friendly staff to see how we can help clean and decontaminate it. Our field technicians are highly trained and capable of handling practically anything short of a nuclear meltdown. CONTACT ERS’ RESTORATION PROS AND ASK ABOUT OUR CRIME SCENE CLEANUP AND DECONTAMINATION SERVICE TODAY.